How do you get from New York to Moscow? Google will show you the way. 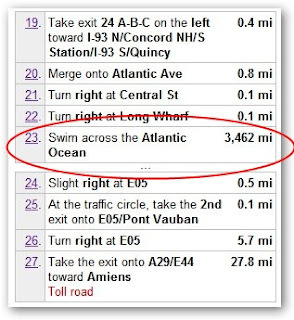 Google will give you complete turn by turn directions including "Swim Across Atlantic Ocean". Check it out, it might be an interesting trip if you want to save on airfare.